From March through August, we are open everyday. Please call for our hours as they change with the seasons. We can also arrange an appointment time that works for you. Each manufacturer has care and maintenance information on their website. You can easily link to the manufacturer websites from our Gallery page. We’d also be glad to help you with any questions. We are happy to work with designers and commercial contracts. Please stop in to review our Designer and Commercial Program and to get a feel for the quality manufacturers that we handle. We have a design layout program available to better assist you. 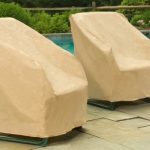 We have a complete line of Patio covers available from Treasure Garden. 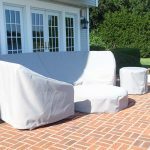 These covers are made from a strong Rhino Fabric and are both washable and breathable to prevent mildew. Covers are now available to cover your table and chairs all in one!